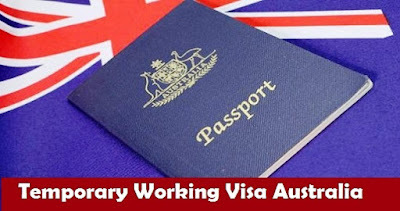 Temporary Working Visa Australia. Australia is one of the most commonly chosen countries for economic migrants, who are drawn by the high quality of life and excellent job opportunities. 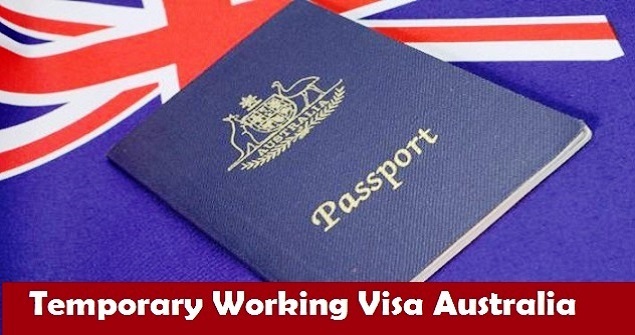 For those who wish to only come to the country to work on a temporary basis, there is a temporary working visa for Australia that will permit them to gain access to short term employment in the country. There are currently several different temporary visas which may be issued for workers wishing to come to Australia on a short term basis. This article looks at the various categories and the eligibility criteria for each so that you can decide which is the best visa to meet your individual needs. This visa (subclass 457) is designed for those who wish to come and work in Australia for a period between one day and up to 4 years. In order to be eligible to apply for this type of visa, an applicant must already have received an offer of a job within Australia by an eligible employer who must act as the applicant's sponsor throughout the visa issuance process. The job offer must be for a post which is currently featured on the Consolidated Skilled Occupations List and the applicant must also be able to prove that they have an adequate level of English language skills as well as the appropriate experience and qualifications in order to be able to undertake the role successfully. This visa, (subclass 489) is a temporary visa which may be issued for a period of up to 4 years and requires the applicant to register for the SkillSelect program. The applicant must either be sponsored by a relative or by a state or territory government depending on the candidate's individual circumstances. In any case, the applicant must be invited to apply and must be aged fewer than 50 with at least basic English skills. They must also be coming to the country to undertake a job that is on the current Consolidated Skilled Occupations List, and their relevant skills must be assessed by the assessment authority relevant to their industry. This type of temporary visa allows the holder to stay in Australia for a period of up to 3 months and to engage in work of a highly specialized and short term nature. This work must be non-ongoing and the applicant must be invited to apply for this kind of visa by an eligible Australian organization. The applicant must apply for this type of visa from outside the country and there is a possibility of an extension for a period of up to 6 months depending on individual circumstances, although these are limited. To be eligible for this visa type, you must be sponsored by a relevant employer and have the necessary experience and skills in order to do the job. In order to apply, the applicant may either be inside or outside the country at the time of application. Successful applicants will generally be granted a visa for a period of up to 2 years and sometimes up to 4 years depending on circumstances. This visa (subclass 420) is a temporary work visa designed purely for those who are working as a performer or support staff member in the entertainment industry. Applicants must be sponsored by a relevant industry employer and can either be inside or outside Australia at the time of application. The maximum period of this visa type's eligibility is 2 years. What Can Temporary Australian Working Visa Holders Do? Successful applicants who are issued with a temporary working visa for Australia are entitled to remain in the country for the full period of their visa and to undertake the employment specified by their visa type. During that period of time, they may be permitted to bring a spouse and any dependent family members into the country with them, although they may be subject to certain conditions. During the validity period of their visa, they are also allowed to exit and re-enter the country an unlimited number of times within the validity period of their issued visa with the exception of the Short Term temporary visa, in which case applicants must inform the authorities of any reason why they must leave and re-enter the country during their period of validity.